In this issue of Guitarist Annual : If you love guitars and want to learn how to sound better than ever before, then dive into the packed pages of Guitarist's 2019 annual, our second volume of the very best features from the pages of Britain's best-selling monthly magazine for guitar players. It's packed with in-depth interviews with seminal players such as Johnny Marr, Eric Johnson and James Dean Bradfield, each of which examines their go-to guitars, amps and effects in reference-grade detail. There's also pages of in-depth coverage on landmark vintage guitars, making the Annual a visual feast for guitar lovers that's packed with insights into the technical evolution of milestone guitars such as the Gibson Les Paul and many more. You'll also find masterclass technique lessons with world-class players such as Josh Smith, which will help you raise your own game on guitar and add to your repertoire of essential licks. 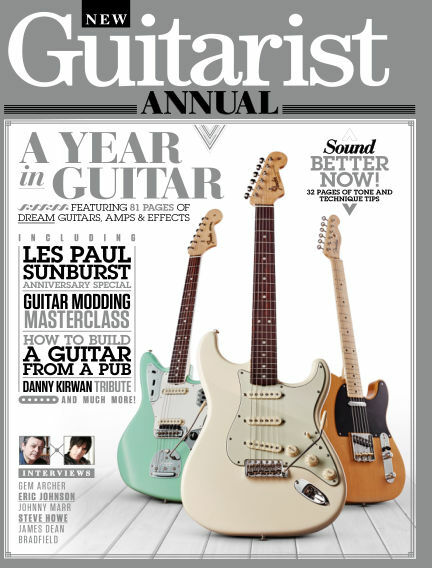 Order your copy of the Guitarist Annual today for total six-string satisfaction. With Readly you can read Guitarist Annual (issue Volume 2) and thousands of other magazines on your tablet and smartphone. Get access to all with just one subscription. New releases and back issues – all included.